The tide was at its lowest at Loh Dalum Beach when we arrived. 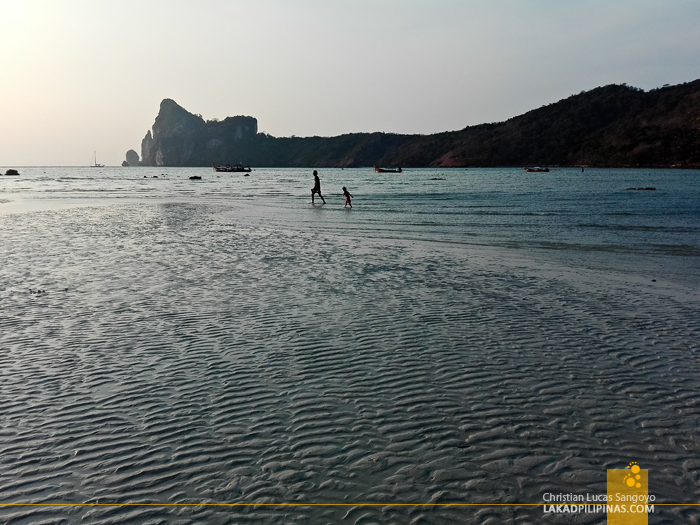 We were at one of the two most popular beaches in Koh Phi Phi Don, it was late in the afternoon and the crescent stretch of cream-colored sand was almost devoid of tourists. We strolled along its undulating sand, trying to go as far as we could towards where the water retreated, but it was surprisingly farther than we were willing to walk. Well, that wasn’t quite true, there were a lot of European backpackers on skimpy bikinis lazily meandering about the beach, but once you’ve been to Koh Phangan’s Haad Rin Beach, this place is comparably deserted. 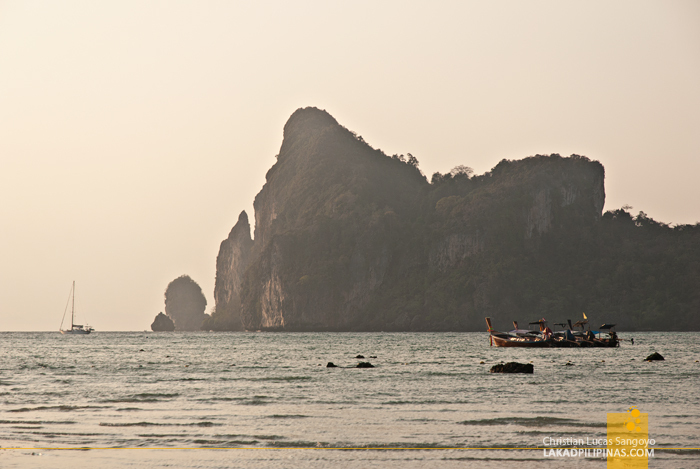 We waited until the sun fully set, drinking our Chang Beer right by the shore, before going back to the chaotic narrow streets of Koh Phi Phi. 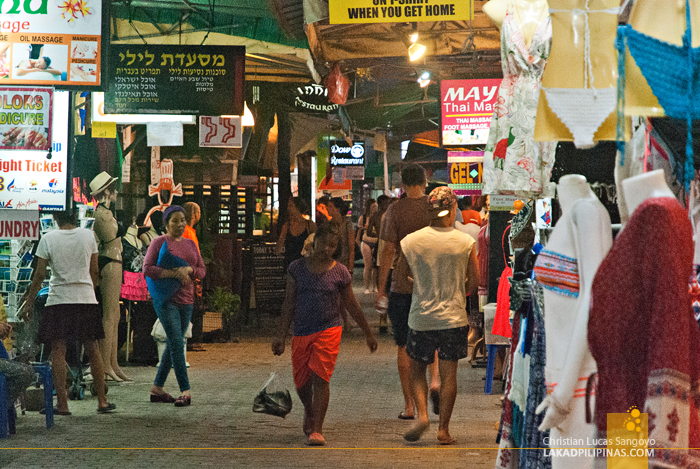 I’m not sure if the island of Koh Phi Phi was populated by locals before its tourism boomed, mostly due in part to Leonardo DiCaprio’s 2000 movie, The Beach. 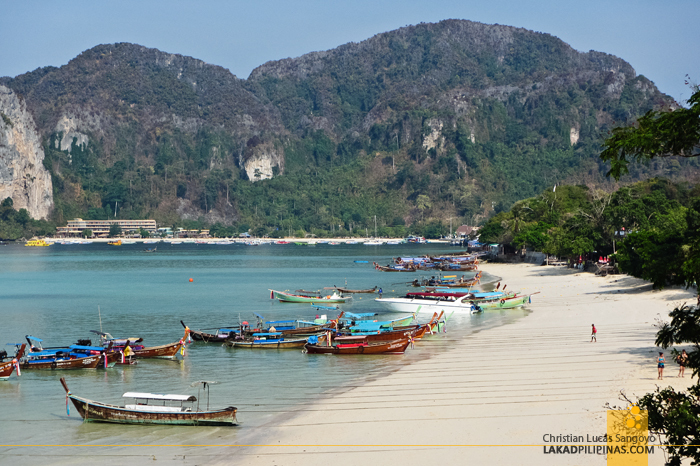 The said beach isn’t located on the island itself though, but rather on its uninhabited twin, dubbed as Koh Phi Phi Leh. 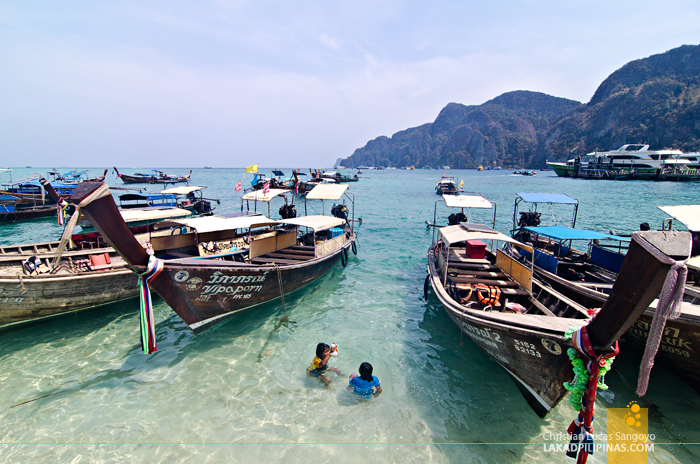 Koh Phi Phi Don is where tourists base themselves to go exploring its more famous twin. 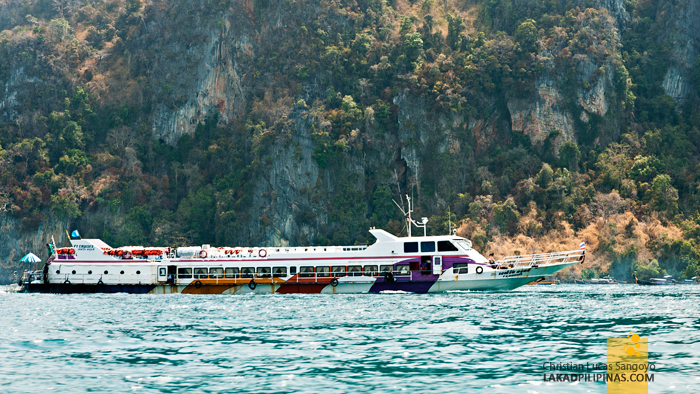 Still part of the province of Krabi, the only way to access it is via the numerous ferries going to and from the various islands along the Andaman Sea. Us, we went straight here from Koh Lanta, a rather sleepy island compared to this one. The island is quite small, and its habitable parts, much smaller still. 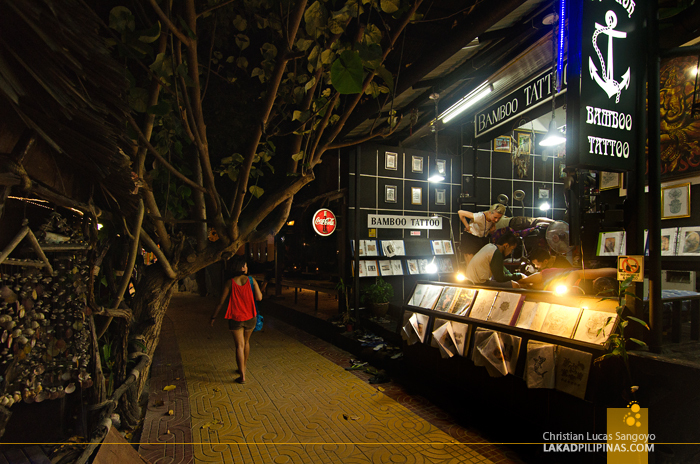 This is evident on its narrow streets, which cannot fit any four-wheeled vehicles—and indeed, there are no such in the island. Going from one place to the next requires walking, but fear not, you can circle the town in less than thirty minutes. 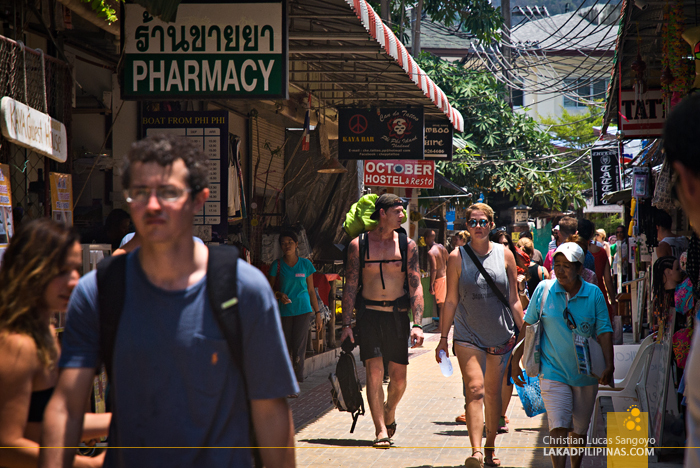 That doesn’t include the hiking trails throughout its hilly parts though, like the one on the way to Koh Phi Phi’s View Point. 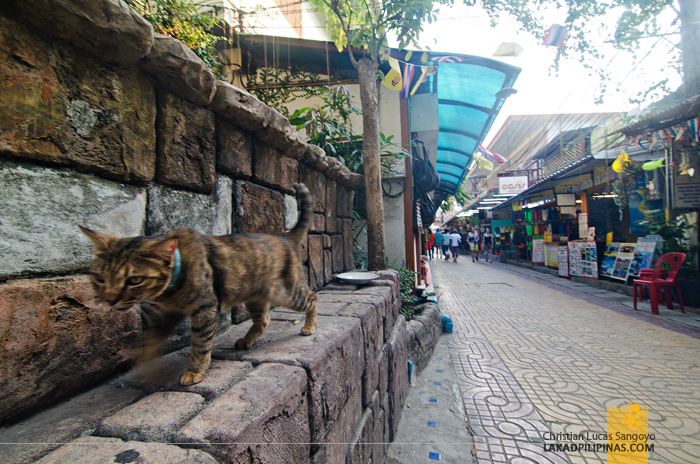 During our stay on the island, we traversed its narrow streets—which are more like alleys, really—in search of food and tours for the nearby Koh Phi Phi Leh. And we didn’t run out of choices. 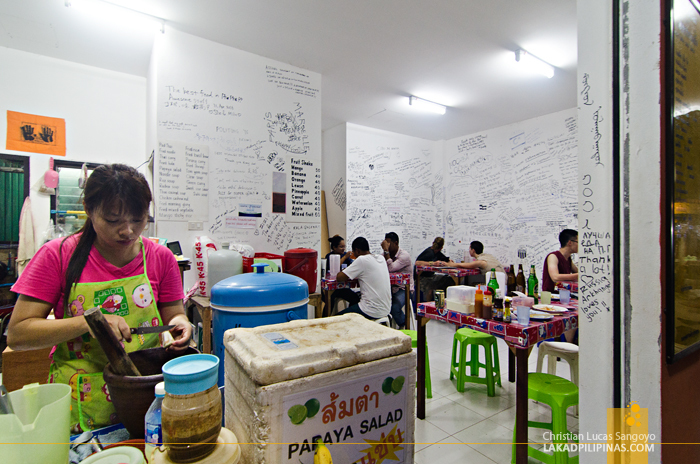 The place is packed with restaurants, convenience stores, traditional bamboo tattoo shops, resorts, diving shops, souvenir shops, cafes and tour operators. Indeed, everything seemed made for tourists. 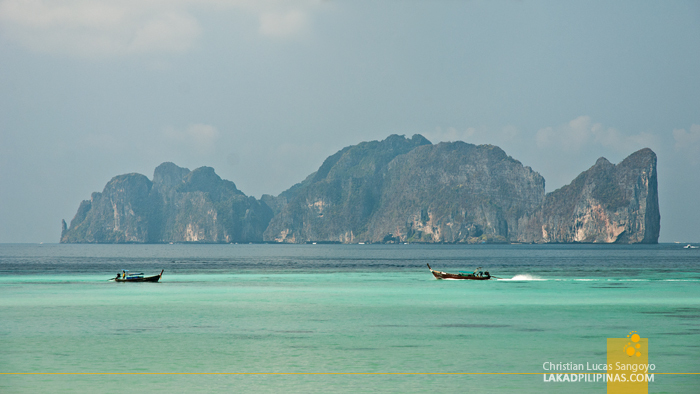 But Koh Phi Phi is not just alleys and restaurants, it also has some fine beaches up its sleeve. 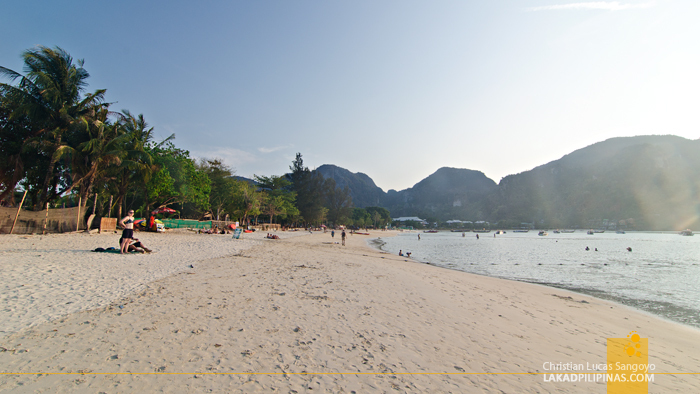 The main beach is right by the Ton Sai Bay, but most people really don’t go dipping here since long-tail boats and ferries dock in this area. You can, however, go further out and be able to swim in peace near the Bayview Phi Phi Resort, which luckily, where we were staying. 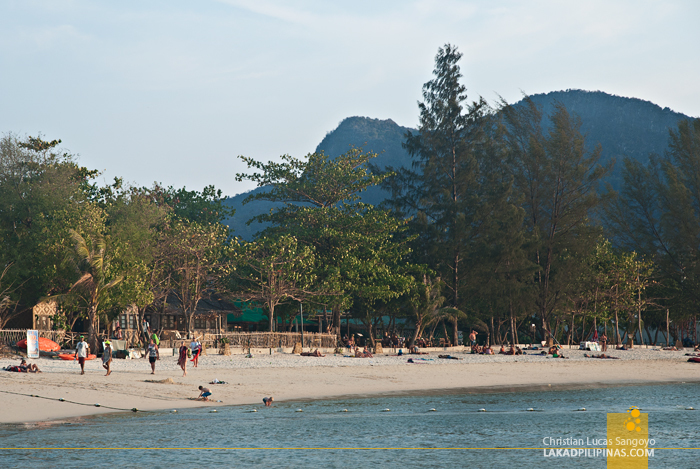 Parallel to the Ton Sai Beach is the Loh Dalum Bay, where a more peaceful sanctuary awaits. 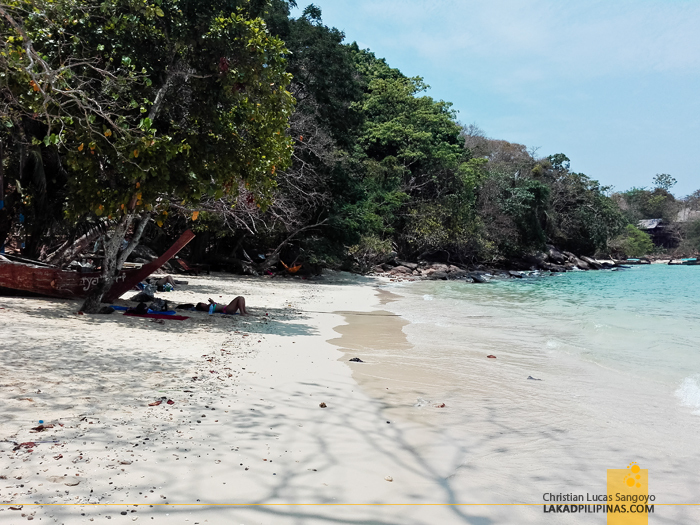 There’s also the Long Beach, which can be reached by hiking along the hills, but unfortunately, we weren’t able to reach that area. 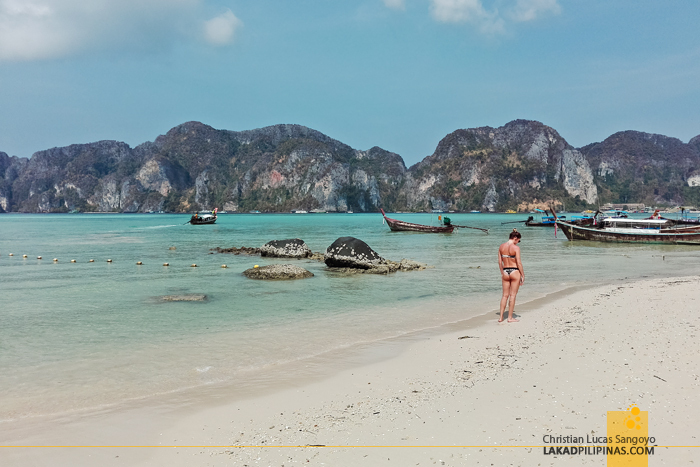 And there are other remote coves, like Loh Lana Bay, Phak Nam Bay, Monkey Beach, Nui Beach and Relax Beach which can only be reached by boats. The beaches mostly have fine, creamy sand but their waters, even though emerald in color, isn’t as clear as we’d like. LIFE IS, INDEED, A BEACH! Koh Phi Phi Don can be overwhelmingly touristy; it is extremely crowded, the streets are quite narrow and the beaches are almost always dotted with tourists. But like our very own Boracay White Beach, the Philippines’ party beach, once you accept it for what it is, you can then start to enjoy it for what it can offer. Which is actually, quite a lot. This is beautiful. 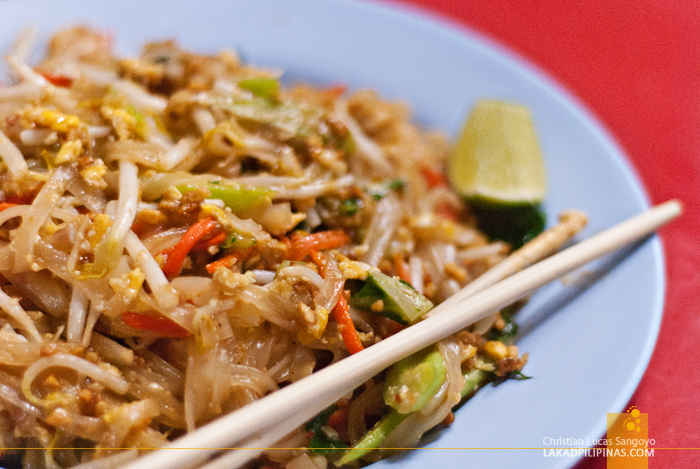 Thailand is not in my travel radar, but this sure is very tempting.